Stephanie Wapenski, who was struck with a baseball at Fenway park, spoke with NBC Boston after new safety features were announced in the park. Change is coming to Fenway Park. The Boston Red Sox announced plans Saturday to extend protective netting beyond the dugouts for the start of the 2018 season. In the past few seasons, at least two people were seriously injured while attending a game at Fenway. 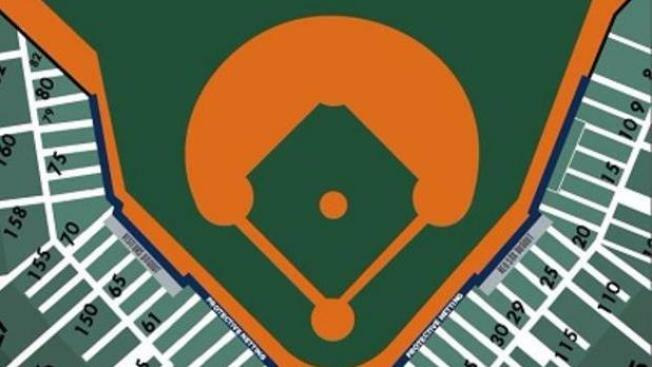 The new netting, an effort to protect fans from foul balls and broken bats, will extend from Field Box Section 79 to Field Box Section 9, covering more of the first and third base lines. The expanded netting is expected to be as tall as the existing system, which is 12 feet, 8 inches above the playing field. The netting will be "field green" color to minimize the impact to sight lines in affected areas. "While expanded netting will offer additional protection, the club continues to encourage fans to be vigilant during games and to be on the lookout for balls and bats that may enter the stands in their seating area," the Red Sox said in a statement. In addition to Fenway Park, the Red Sox announced they will also extend protective netting at JetBlue Park, the team's spring training facility in Fort Myers, Florida. To offer optimal visibility for fans, the Red Sox worked with design and engineering teams, as well as netting vendor Promats Athletics.